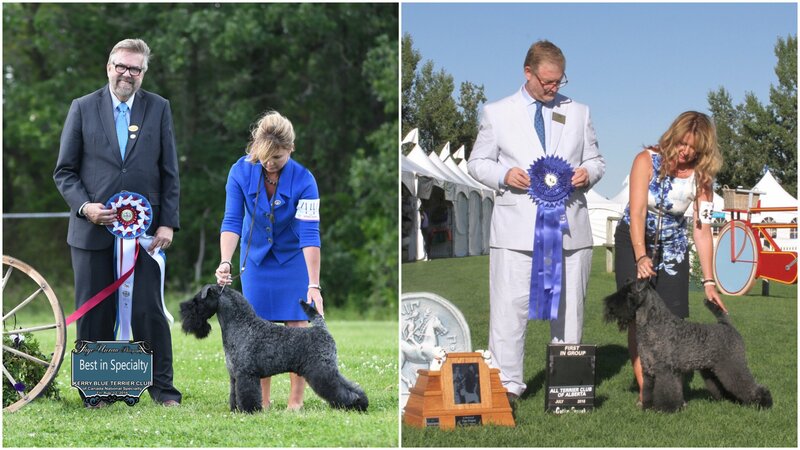 Dr Michael Tipple, Jon Lecourt, Keith Brown and Robbie Gray, together with his breeders Carol and Ron Ramsay, are proud to have their Kerry Blue Terrier, MBIS MBISS Can Ch. Eng Ch. Irish Ch. 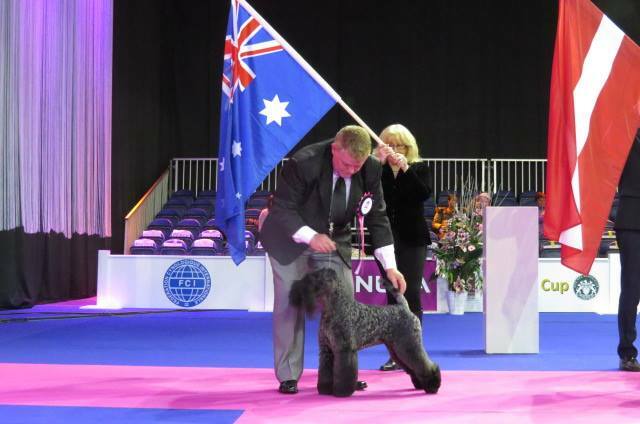 Aust Supreme Ch. 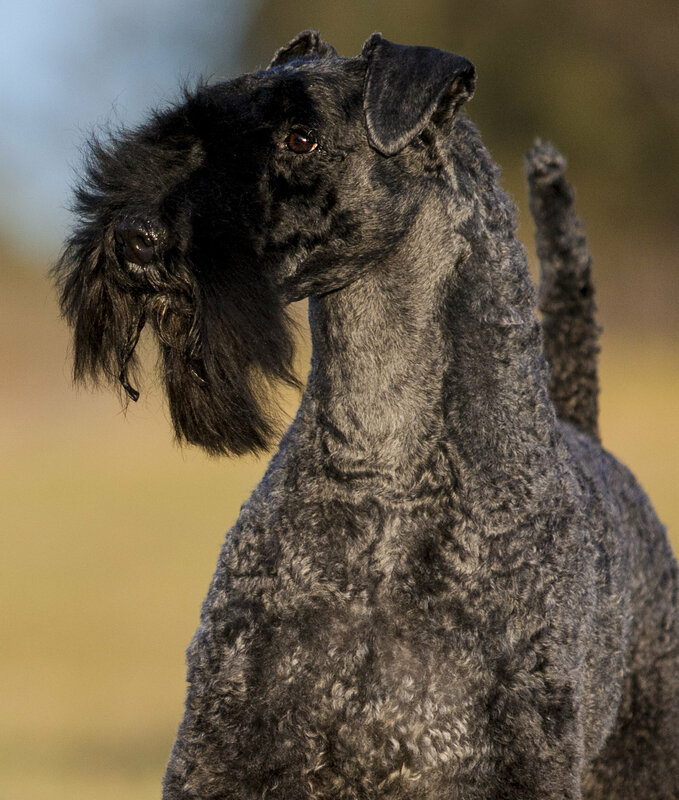 Torum’s Calico Jack at Irisblu informally known as “Jack” on this week’s front cover.Jack arrived in Canada at the end of 2015, he was Australia’s #1 Dog of All Breeds. 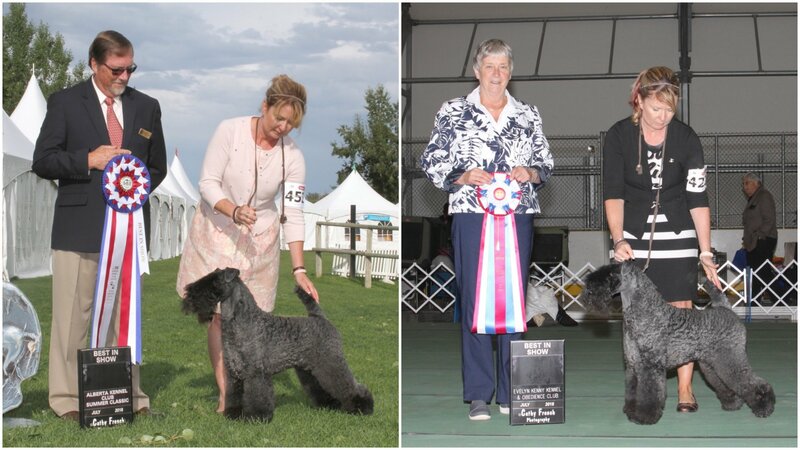 He arrived with an impressive record of 49 all breed Best in Shows in 3 countries, as well as numerous specialty wins. Jack had been beautifully presented by Simon Briggs, in Australia. 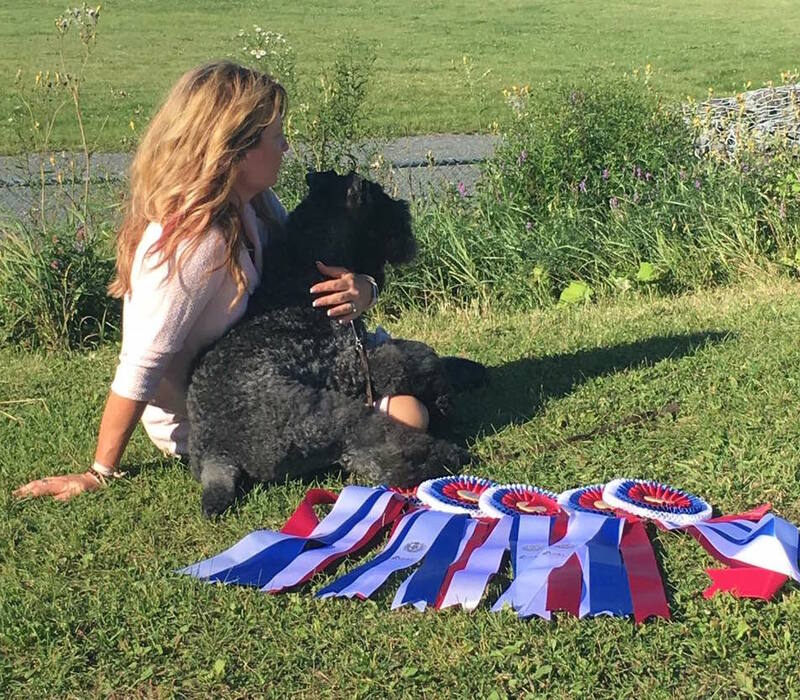 As with any new team Allison and Jack had to come together as a team, there were challenges, Jack had never been shown on mats, and very rarely indoors.His first time in the ring in Canada was in January 2016, as a class dog he was awarded the Terrier group under Judge Heather Langfeld, and Reserve Best in Show under Kristen Francis at the Alberta Kennel Club, since then together as a team, Jack and Allison have only ever looked forward. We would like to thank all of the Judges for awarding Jack so highly this year, we are so grateful.Jack has a team that loves him, cheer for him, and keep him in top condition. Thank you to Katie, Colton, and Jenny. Thank you Todd and Jamie, for all the love and support you give to me day in and day out, as Jack and I have travelled the country. Thank you to all of Jack’s ringside supporters across the country, and those friends who have looked after us in our travels, this has been the most enjoyable year shared with friends. Thank you Jack for being such a great dog, I am very proud to have been given the opportunity to be the one to hold your lead. Next articleShould we as judges critique?